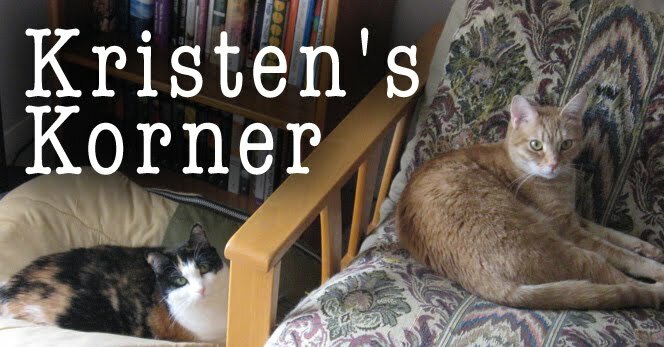 This afternoon the lovely and effervescent Kristen let me know that she had composed another of her articles for this blog. That's something I really appreciate about her: how much of a surprise she always is! Her first entry, "My Bipolar Boyfriend", has turned out to be one of the more popular posts on The Knight Shift. I know she has a few others in the works too. On Memorial Day weekend of this year, Chris and I went to the Outer Banks. I had been in the area 25 years ago, at the age of 3, and felt like this was a trip of nostalgia (although I barely remember the first trip). We enjoyed the Elizabethan Gardens and aquarium in Manteo, but also ventured from Roanoke Island to see Cape Hatteras, Bodie Island, Kitty Hawk, and Jockey's Ridge. 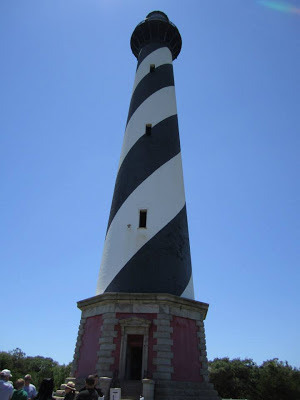 When we were at Cape Hatteras, I wanted to climb to the top of the lighthouse. Hey, I had done it numerous times in San Diego's (newer) Point Loma lighthouse when my family lived there in the early 1990s. Surely this would be a fun experience, one with a great view of the Atlantic Ocean from the top and a great memory with the man in my life. While I will say it was a memorable experience, I can't say it was a fun one. You see, sometime during college, I started to get vertigo. Being somewhere high, sometimes I'd get dizzy and anxious. It was never really that bad, just annoying. But for some reason, standing at the base of the lighthouse, looking up at its black and white striped glory... I started to panic. When it was time for us to go up, I decided to let the other people in the group go ahead of us. Then Chris and I started up, me at the front. I have to say, I was thankful for the eight platforms along the way - because I probably stopped at every one, putting my hand on my chest in order to ease my breathing. My legs started to feel shaky. Yes, I was freaking out. Scared. I knew I wasn't going to fall - there were plenty of railings to prevent that, in case I slipped. But the fear consumed me. The rational part of my mind was saying there was nothing to fear - the steps weren't narrow or steep, they were actually very manageable compared to some other places I had been to (like Warwick Castle in England - THOSE stairs were fear-worthy). But the irrational part of my mind was hysterical - especially if I heard people coming down the stairs. To feel stable, I just HAD to hold on to the railing and put my other hand against the wall, and someone coming down prevented that. When we finally made it to the top, I only took one picture... from the doorway to the outside. I went outside, took a brief look around, and was desparate to go back inside and leave to head back down. I couldn't really take the time to enjoy the view because of my anxiety. But then we had to walk down. All 200-some stairs. That was even worse for my anxiety. At least by going up, you could ignore the bottom. You have to look down (in the general direction, not necessarily down to the bottom) to walk down. Well, at least I do. I couldn't walk down those steps without making sure my feet were positioned in a secure way on each step. The whole experience took half an hour, probably. Whereas other people surely took a lot shorter time, because they weren't succumbed by fear. When I got down to the bottom, I was so thankful. I had survived it. And I told Chris that I never have to do it again. If we have kids someday and we go back, HE can take them up and I'll be at the bottom, waving at them when they're at the top (just like my mother did when we were in San Diego... okay, I've heard some women say they start to become their mothers, but I never thought I'd have this fear-of-heights problem!). This also made me really appreciate Chris. Not just because he was supportive and encouraging me during my little freak-out, but it gave me insight into what Chris deals with on a regular basis. I don't have bipolar. I don't know what it's like to battle your mind everyday, trying to ignore the horrible thoughts or depression that likes to creep up. But in a way, on a much smaller scale, I was battling my mind. I WANTED to enjoy going up to the top of the lighthouse with my boyfriend. I WANTED to be strong. I WANTED to tell those irrational fears where to stick it. But in the end, I did not win the battle. I was a victim to my fears. While I didn't give up on the climb, I let my fears take hold of me and was not able to resist them. People with bipolar go through this. They want to be happy and have a normal life, but sometimes their mind gets in the way. Fear, bipolar, stress, emotions - whatever barrier you have to battle your mind for, it doesn't have to win. It's not always easy, nor always a success. But have hope that it will get better and you will get through it. Just keep your focus on the goal: I WILL get through this depression. I WILL survive this broken heart. I WILL survive this lighthouse climb. As I end this post, I think to what the lighthouse symbolizes. It's a beacon of light that guides ships away from the cliffs, towards the right direction. I'd like to think God is a lighthouse of sorts, who uses his light to direct us the way to go. It reminds me of that popular hymn that comes from Psalm 119:105: "Thy word is a lamp unto my feet, and a light unto my path." Next time the fear rears its ugly head, maybe I can take comfort in those words, and give the fear to God. You know, maybe I'll climb Cape Hatteras again after all.